Something interesting happened a couple of weeks ago when our partner Jamf was visiting our hotel experience lab. We were working on simplifying the story of how efficient customers become when technologies they use daily truly fit like puzzle pieces in a “better together” scenario. This happens quite often. Because of how we architected development back in 2009 and continued to build since, all of our technologies ARE customized to each property and yet powered by this same platform – the design and features can be turned off, on, up, down, sideways or however the hotelier wishes it to be. After walking through this with him, we concluded that saying configurable features (even if they really are highly customized to each property) resonates quicker. We’ve spent the last year working with many different technology experts such as Jamf to “up the notch” on the powerful solutions we have now and ones we’ll soon be launching. Ones that make sense to hospitality – both from a user experience and revenue generation mindset. We doubled down our research, as well as our in-house development team. We sent our teams again to work in the field (in multiple hotels) to learn from the staff by: using our technology, our competitors’ technology, and the general technology many of us will be looking at during HITEC. We’ve been learning how to strip away the unnecessary and be BETTER TOGETHER. Because hotel technology, when made well, should be an afterthought. If you still can’t believe that one platform can take all of your content and information and direct it to anywhere you want to be – then you’re probably looking at visiting several different booths. *This tour will demonstrate our technology on Apple devices. As a company, we are device agnostic, however, we prefer hands-down Apple’s hardware and iOS, and we develop our newest features to be Apple first. 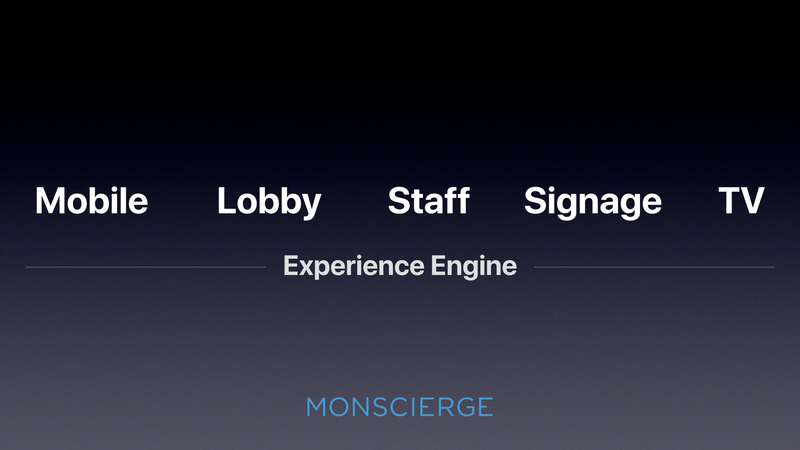 The Apple Mobility Partner Program has increasingly grown since our joining three years ago, but Monscierge still proudly remains the only hospitality-specific partner to pass the rigorous process of design and development scrutiny by the labs in Cupertino.